Verizon today announced Verizon Cloud – its new cloud Infrastructure as a Service (IaaS) platform and cloud-based object storage service. With this service, Verizon is fundamentally changing how public clouds are built. Large enterprises, mid-size companies and small development shops will get the agility and economic benefit of a generic public cloud along with the reliability and scale of an enterprise-level service with unprecedented control of performance. 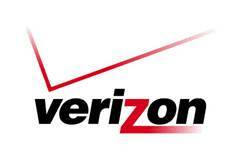 The public beta for Verizon Cloud will launch in the fourth quarter of this year. Verizon Cloud has two main components: Verizon Cloud Compute and Verizon Cloud Storage. Verizon Cloud Compute is the IaaS platform. Verizon Cloud Storage is an object-based storage service. Verizon Cloud Compute is built for speed and performance. Virtual machines (software-based computers and servers) can be created and deployed in just seconds, and users build and pay for what they need. With Verizon Cloud Compute, users can determine and set virtual machine and network performance, providing predictable performance for mission critical applications, even during peak times. Additionally, users can configure storage performance and attach storage to multiple virtual machines. Previously, services had pre-set configurations for size (e.g. small, medium, large) and performance, with little flexibility regarding virtual machine and network performance and storage configuration. No other cloud offering provides this level of control. In addition, while Verizon built the solution for enterprises, it is nimble enough to meet the needs of small and medium businesses, individual IT departments and software developers. Verizon Cloud Storage is an object-addressable, multitenant storage platform providing safe, durable, reliable and cost-effective storage accessible from anywhere on the Web. Object storage is extra robust and Web-traffic reliable, making it ideal for cloud-based applications. Verizon Cloud Storage overcomes latency issues that have plagued many traditional storage offerings, providing improved performance. These new cloud services are backed by the deep technical and operation experience of Verizon and supported by the company’s global IP network, global data centers and managed security services. Verizon also offers a wide range of hosting, managed hosting and colocation services to meet all of an organization’s IT needs. Companies interested in using either Verizon Cloud Compute or Verizon Cloud Storage can sign-up to be a beta customer through the Verizon Enterprise Solutions website. The sign-up and customer service experience is managed completely online. The provisioning and deployment of virtual machines and assignment of performance levels takes just seconds. With a credit card or purchase order on file, customers pay as they go for computing and storage. They can control their use and pay for the cost of the services they are using, adjusting as needs arise. In order to ensure personalized service for each beta customer, access to Verizon Cloud Compute and Verizon Cloud Storage will initially be limited to a few hundred new users per month. Customers awaiting their turn will be welcomed into the Verizon Cloud Insider program, which will enable them to be kept up-to-date on feature availability and other improvements as they occur. As Verizon optimizes customer experience through the public beta program, it will provide opportunities for new clients to take advantage of Cloud Compute and Cloud Storage. The system has been designed to support millions of virtual machines in each location where Verizon implements Cloud Compute and Cloud Storage. Companies with immediate cloud needs can use Verizon Enterprise Cloud, the IaaS offering of choice for businesses and governments needing scalable, reliable and secure cloud infrastructure. Verizon Enterprise Cloud combines the proven over time stability and performance for enterprise customers. Verizon Cloud Compute and Verizon Cloud Storage are installed in Verizon cloud data centers in Culpeper, Va., Englewood, Colo., Miami; Santa Clara, Calif.; and in Amsterdam, London, and Sao Paolo. Initially, clients will be served out of the Culpeper data center, with other centers around the globe expected to be added through mid-2014.